On 31 August 2007, AC Milan spoiled Sevilla's bid to repeat as Super Cup champions, beating the Spanish side 3-1 in Monaco. Sevilla, as winners of the UEFA Cup in 2005, played their first Super Cup in 2006, beating the reigning Champions League winners Barcelona 0-3. They won the UEFA Cup again in 2006 to set up their 2007 meeting with that year's Champions League winners, AC Milan. Playing before a crowd of 17,822 at the Stade Louis II, Sevilla staked their claim with a 14th-minute goal from Brazilian playmaker Renato. The score resulted from a corner kick that Renato headed down to the feet of Milan keeper Dida, who misjudged the bounce and allowed the ball to get past him into the net. Despite pressure from Milan at the other end, particularly from striker Pippo Inzaghi, Sevilla still held the 0-1 lead at the break. Shortly after the restart, however, Inzaghi headed the equalizer home (55') and Milan claimed the lead seven minutes later with a thundering volley from left back Marek Jankulovski to the far post (62'). Milan sealed the win in the 87th minute after Sevilla left back Ivica Dragutinović conceded a penalty with a tackle from behind on Madrid striker Kaká, who dutifully converted the kick to stretch the margin of victory to 3-1. Labels: 2007 UEFA Super Cup, AC Milan, Dida, Filippo Inzaghi, Ivica Dragutinović, Kaká, Marek Jankulovski, Renato, Sevilla F.C. On 30 August 1995, Grêmio won their second Copa Libertadores, beating Atlético Nacional on points over two legs. Both teams had won the tournament once before, with Grêmio taking the honors in 1983 and Atlético in 1989. Grêmio returned to the final in 1984, but were unable to defend their title, losing to Independiente. They entered the competition in 1995 as Copa do Brasil holders and, after finishing second to Palmeiras in the group stage, advanced with wins over Olimpia, Palmeiras, and Emelec to reach the final. 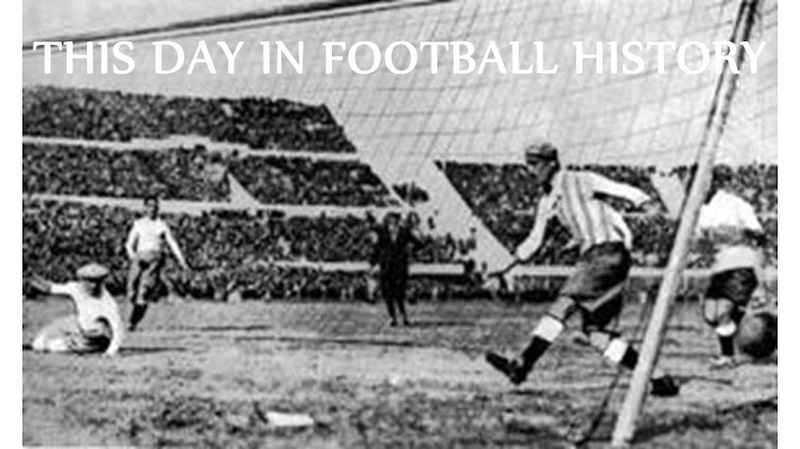 Atlético, meanwhile, entered as Colombian top flight champions and, after also finishing second in their group (to Millonarios) reached the final with victories over Peñarol, Millonarios, and River Plate (on penalties). Grêmio won the first leg of the final 3-1 on 23 August in front of their own supporters at the Estádio Olímpico, thanks in part to an opening own-goal from Atlético's Víctor Marulanda in the 35th minute. They followed that with strikes from Mário Jardel (43') and Paulo Nunes (55') before Juan Pablo Ángel pulled one back for Atlético in the 72nd minute. In the second leg, played one week later at Atlético's Estadio Atanasio Girardot, the hosts again opened the scoring with a 12th-minute goal from Víctor Aristizábal. They held the lead deep into the second half, but needed another goal to preserve their hopes of lifting the trophy--the rules at the time decided the winner on points, then by goal differential, so a 1-0 win would draw them level with Grêmio on points, but leave them down a goal on differential. Then, as Atlético pushed for a second, they conceded an 85th-minute penalty kick that was converted by Dinho to seal the win for the Brazilians. Grêmio returned in 2007, but finished as runners-up to Boca Juniors, while Atlético won the tournament in 2016 over Independiente del Valle. 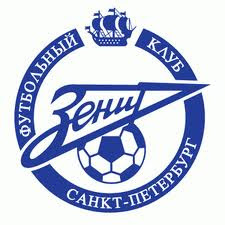 On 29 August 2002, Zenit St. Petersburg secured their record victory, beating FC Encamp 8-0 in the qualifying round of the UEFA Cup. It was the second leg of the tie, with Zenit having beaten the Andorrans 0-5 away two weeks earlier. In the rematch, Encamp would have been forgiven for hoping for a closer margin of victory and, for the first half, it appeared they might get it, as Zenit were up only 2-0 at the break with goals from Sergei Osipov (14') and Predrag Ranđelović (21'). The visitors maintained that margin for the first twelve minutes of the second half, but then the floodgates opened. Aleksandr Spivak led the assault on Encamp's goal in the 57th minute, followed by additional strikes from Osipov (69') and Ranđelović (71', 73') to stretch the lead to 6-0. Darius Miceika added a seventh in the 86th minute, then striker Andrei Nikolaev--making his first Zenit appearance--completed the 8-0 rout three minutes later. Although the combined 13-0 result qualified Zenit for the UEFA Cup proper, their campaign ended in the first round with a 4-3 aggregate loss to Swiss club Grasshopper. On 28 August 1947, Liverpool and England captain Emlyn Hughes was born in Lancashire. 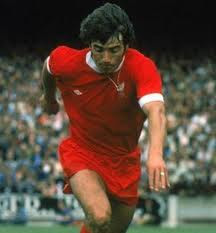 He went on to win four league titles and two European Cups while being named England's Footballer of the Year in 1977. Hughes started his professional career with Blackpool in 1964, but made only 28 league appearances there before moving to Anfield in 1967 for a transfer fee of £65,000. Although Liverpool had won the league title in 1966, they went without silverware in Hughes' first four seasons. They returned to their winning ways in the 1972-73 season, winning both the league and the UEFA Cup. Hughes took over as skipper and more honors followed, including three more league titles (1976, 1977, 1979), another UEFA Cup (1976), back-to-back European Cups (1977, 1978) and an FA Cup (1974). In the meantime, he made 60 appearances for England, wearing the armband for several games in 1974. In 1977, Liverpool narrowly missed out on a treble, losing to Manchester United in the FA Cup final. Later that year, Hughes became the second consecutive Liverpool player (and third in four years) to win the Football Writers' Association Footballer of the Year Award. He left Liverpool in 1979 and spent time with Wolves, Rotherham (as player-manager), Hull City, Mansfield Town, and Swansea City before retiring in 1984. He died of cancer in 2004 at the age of 57. Labels: Emlyn Hughes, Liverpool F.C. On 27 August 2011, the Western New York Flash won the WPS Championship, beating the Philadelphia Independence on penalties, 1-1 (5-4). It turned out to be the last WPS Championship, as the league folded soon afterward. The Flash were an expansion team playing in the first league season, but they had acquired several players from the previous season's champions, FC Gold Pride, who had dissolved in 2010. They picked up where the Pride left off, topping the regular season table with a record of thirteen wins, two draws, and two losses that sent them directly into the playoff final. The Independence were not much older, having entered the league in 2010. They finished the 2011 regular season in second, which qualified them for a semifinal match against magicJack, whom the beat 2-0 to advance to the final. Playing at Sahlen's Stadium in Rochester, former Pride forward Christine Sinclair gave the Flash a 64th-minute lead that they almost took to the final whistle. But in the 88th minute, Philadelphia winger Amy Rodriguez equalized to send the match into extra time. With the score still level at 1-1 after extra time, the match went to a penalty shootout. There, both teams converted their first four kicks each. After Yael Averbuch scored on the Flash's fifth attempt, Western New York goalkeeper Ashlynn Harris made a diving save to deny Independence forward Laura del Rio and win the title. 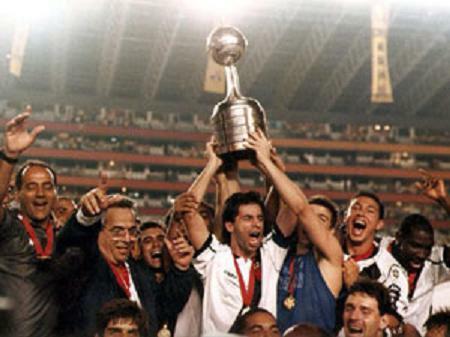 On 26 August 1998, Vasco da Gama won the Copa Libertadores, beating Barcelona SC 1-2 in the final's second leg. The two teams qualified for the competition by winning their domestic leagues--Brazil for Vasco and Ecuador for Barcelona--in 1997. Vasco had a more difficult road to the final, beating defending champions Cruzeiro in the Round of 16, then overcoming Grêmio and River Plate in the quarterfinals and semifinals, respectively. Barcelona, meanwhile, advanced over Colo-Colo, Bolívar, and Cerro Porteño. The final was played over two legs, home and away, with the winner determined by points. Vasco won the first leg, played at the Estádio São Januário in Rio on 12 August, by the score of 2-0 with goals from their forward pairing of Donizete (7') and Luizáo (35'). In the second leg, played two weeks later at Barcelona's Estadio Monumental in Guayaquil, Vasco again went up by two at the break, with the same two players providing the goals, Luizáo striking in the 24th minute and Donizete in the 45th. Barcelona halved the margin to one with a 79th-minute goal from forward Antony de Ávila, but they could get no closer, even after Donizete received a 93rd-minute red card to reduce Vasco to ten men. It was Vasco's first appearance in the Copa Libertadores final, while Barcelona had been there once before, finishing as runners-up to Olimpia in 1990. Neither team has returned since. 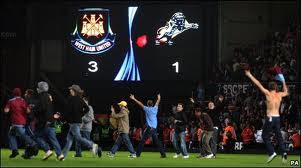 On 25 August 2009, violence marred a match between West Ham and Millwall in their first meeting for over four years. Separated by only five miles and the River Thames, the two London teams have a longstanding rivalry that dates back to their first meeting in 1897 (when West Ham were still known as Thames Ironworks). Their respective supporter groups have a history of clashes, including an outbreak of fighting at the 1972 testimonial for Harry Cripps, who had played for both teams, and a 1976 clash at New Cross Station that resulted in the death of Millwall supporter Ian Pratt, who fell under a train. Before the 2009 meeting, the two teams had last played each other in April 2004, the sixth match in an unbeaten run for Millwall that stretched back to November 1992. Then the League Cup paired them for a second-round meeting at West Ham's Upton Park. Neil Harris gave the visitors a 26th-minute lead, which they held for most of the match. But West Ham's Junior Stanislas equalized in the 87th minute, sending the home supporters into a frenzy and sparking a pitch invasion. In extra time, Stanislas scored again, this time from the penalty spot in the 98th minute, resulting in another invasion. Zavon Hines added a third for West Ham in the 100th minute to set the final margin at 3-1. Fighting broke out both inside and outside the stadium, with at least twenty people getting injured and a 44-year old Millwall fan going to the hospital with a stab wound. Supporters clashed with each other and the police clashed for several hours, resulting in several arrests. Afterward, the Football Association found West Ham guilty of failing to restrain their supporters and fined the club £115,000. On 24 August 1975, the Tampa Bay Rowdies won the inaugural Soccer Bowl, beating the Portland Timbers 2-0. The North American Soccer League, which dated back to 1968, had used playoffs since the 1969 season, but the finals had always been played at the home field of one of the participants. By 1974, league commissioner Phil Woosnam believed that a neutral venue would generate more excitement along the lines of the NFL's Super Bowl and thus the Soccer Bowl was created for the 1975 season. Like the Soccer Bowl, both Tampa Bay and Portland were in their first NASL season. Tampa Bay, coached by former Charlton Athletic manager Eddie Firmani, won their division, then reached to the Soccer Bowl with playoff wins over Toronto and Miami. Portland, meanwhile, led by former Aston Villa manager Vic Crowe, also won their division, then advanced with wins over Seattle and St. Louis. They met at Spartan Stadium in San Jose, California, where a capacity crowd of 17,000 gathered for the event. The two teams were deadlocked at 0-0 until the 66th minute, when Tampa Bay substitute defender Arsène Auguste, who had come on only three minutes earlier, unleashed a blast from 35 yards out to beat Portland keeper Graham Brown. Striker Clyde Best then sealed the win with a goal in the 88th minute. 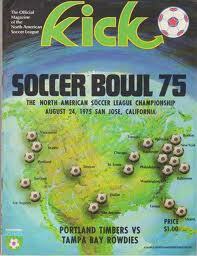 It was the only Soccer Bowl appearance for Portland. Tampa Bay returned twice more, but lost to the New York Cosmos in 1978 and to Vancouver Whitecaps in 1979. 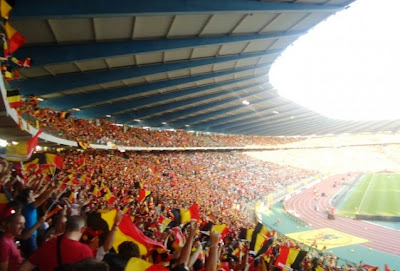 On 23 August 1995, the former Heysel Stadium hosted a football match for the first time in almost ten years, as Germany beat Belgium in a friendly. Originally opened on 23 August 1930, the stadium was the location of one of football's greatest tragedies when it hosted the 1985 European Cup Final between Juventus and Liverpool. Approximately an hour before kick-off, a retaining wall collapsed, leaving 600 people injured and killing 39 others. It was the last football match played at the stadium for several years, though it continued to be used for other events. By 1995, however, it had undergone a $50 million renovation and re-opened as the home of the Belgian national team. For the first match in the new structure, renamed King Baudouin Stadium, Belgium hosted Germany in a friendly. 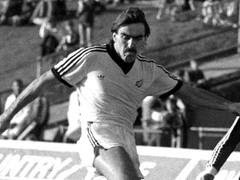 A crowd of 33,000 watched as the Germans won 1-2 with goals from Andreas Möller (6') and Fredi Bobic (84'). Belgium's lone goal was provided by Michaël Goossens (17'). On 22 August 1998, Mallorca won their first major honor, beating Barcelona in the Supercopa de España. And they did it only one year after promotion from the second division. Played over two legs, that year's Supercopa was a rematch of the previous season's Copa del Rey final. Barcelona won that one over newly-promoted Mallorca on penalties--1-1 (5-4) after taking the shootout to eight kickers each--but since they also won the league that year, Mallorca qualified for the Supercopa as Copa del Rey runners-up. 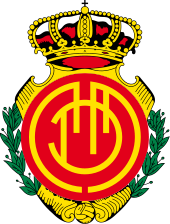 The teams met in Mallorca on 18 August for the first leg, where a crowd of 12,000 watched the hosts surrender an early goal, then come back to win 2-1 on an 81st-minute strike from midfielder Jovan Stanković (Stanković had also scored the only goal for Mallorca in the Copa del Rey final). The return leg saw a substantially larger turnout, as 55,000 passed through the turnstiles at Barcelona's Camp Nou. They were rewarded with a 29th-minute goal from Mallorca striker Dani García, who was starting his first season with Mallorca after transferring from Real Madrid. It turned out to be the day's only goal, securing the trophy for Mallorca. They returned to the competition in 2003 after winning that year's Copa del Rey final, but finished as runners-up to Real Madrid. 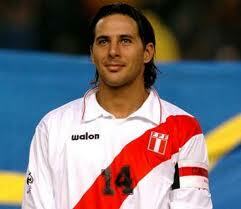 On 20 August 2003, Claudio Pizarro scored the fastest goal in the history of the Peruvian national team, coming just 18 seconds into a friendly against Mexico. The teams met at Giants Stadium in New Jersey, where Pizarro (pictured) got the game off to a quick start, unleashing a left-footed blast from just outside the penalty spot to put Peru up 1-0. It was the first goal conceded by Mexico in six matches. They did not wait long to concede again, though, surrendering a second goal to midfielder Carlos Zegarra in the 31st minute, then a third to Nolberto Solano two minutes later. Down 3-0 at the break, Mexico eventually got on the scoreboard in the 54th minute with a goal from Mariano Trujillo. It was the last goal of the day, but not the last bit of excitement. A 68th-minute brawl resulted in the ejection of four players, two from each side--Pizarro and John Galliquio for Peru, Omar Briceño and Jared Borgetti for Mexico. 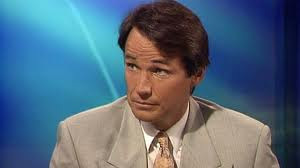 On 19 August 1995, pundit Alan Hansen criticized Manchester United's season-opening loss to Aston Villa, stating "you can't win anything with kids." United proved him wrong, however, going on to win a league and FA Cup double. United had ended the previous season without a trophy, the first time that had happened since 1989. And, before the start of the 1995-96 season, they sold three key players--Paul Ince, Mark Hughes, and Andrei Kanchelskis--without bringing in replacements, preferring instead to rely on rising young players like David Beckham, Paul Scholes, and Gary Neville, all of whom were just 20 years old when the new season started. Playing before a crowd of 34,655 at Villa Park, the hosts jumped to a comfortable 3-0 lead with goals from Ian Taylor (14'), Mark Draper (27'), and Dwight Yorke (36') before Beckham scored a consolation goal in the 82nd minute to end the day 3-1 to Villa. Speaking later on Match of the Day, Hansen made his now-famous pronouncement, adding that "the trick to winning the championship is having strength and depth, and they just haven't got it." But United followed that loss with a ten-game unbeaten streak that included eight wins and pushed them up to second in the table. By March, they claimed the top spot and held it for the remainder of the season, then won the FA Cup final over Liverpool. 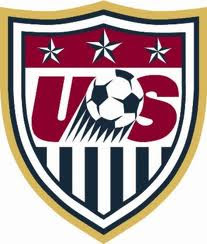 On 18 August 1985, the United States women's team played their first match, losing to Italy 1-0 in the opening game of the Mundialito. The Mundialito (Spanish for "Little World Cup") was an invitational women's international tournament held in Italy from 1984 to 1988. The 1985 edition consisted of four teams--Italy (the defending champions), England, Denmark, and the United States. The US squad had been put together earlier that summer by head coach Mike Ryan and included goalkeeper Kim Wyant, midfielder Sharon McMurtry, forward Tucka Healy, and winger Denise Boyer. Discussing the experience years later, all four players remarked on the physical nature of the game and the competitiveness of the Italian team, who went on to win 1-0 after a missed penalty by McMurty. Italy reached the final where they lost to England, while the US finished in fourth after a 2-2 draw with Denmark, a loss to England, and a loss to Denmark in the third-place match. They did better in the next two tournaments, however, finishing as runners-up in 1986 and claiming third place in 1988. On 17 August 2011, Barcelona beat Real Madrid 3-2 to take their 10th Supercopa de España (and the first one over their Clásico rivals). The competition, which kicks off the Spanish season, pits the reigning La Liga champions against the Copa del Rey holders in a two-legged series, home and away. Real Madrid and Barcelona had met there four teams previously, in 1988, 1990, 1993, and 1997, with Real Madrid claiming the honors each time. But Barça had the recent edge, carrying a six-match unbeaten streak against Madrid in the league (with five wins), as well as eliminating them in the previous season's Champions League. (Madrid, however, had beaten Barcelona in the 2011 Copa del Rey Final). The two teams met at the Bernabéu on 14 August for the first leg, where they drew 2-2, then reconvened at Camp Nou three days later. There, Andres Iniésta opened the scoring in the 15th minute after an incisive through pass by Lionel Messi left him one-on-one with keeper Iker Casillas, who fell victim to a chip. Cristiano Ronaldo equalized from short range five minutes later, but Messi restored the lead just before the break. Real Madrid drew level again in the second half through an 82nd-minute goal from striker Karim Benzema, but Messi had the last word with the match-winner in the 88th minute. That season, Real Madrid went on to win the league, while Barcelona won the Copa del Rey, setting up another Supercopa meeting in 2012. Labels: 2011 Supercopa de España, Andrés Iniesta, Cristiano Ronaldo, F.C. Barcelona, Iker Casillas, Karim Benzema, Lionel Messi, Real Madrid C.F. On 16 August 1981, New Zealand notched their record victory, beating Fiji 13-0 in a World Cup qualifier. It is also Fiji's record loss. The All Whites were looking to reach their first World Cup, having not entered the competition from 1930 through 1966, then not qualifying for the 1970, 1974, and 1978 tournaments. They started their campaign for Spain '82 in April 1981 by drawing 3-3 with Australia, then beating Fiji away 0-4. By mid-August, they were at the top of the table in their qualifying group, three points clear of Australia, who had two games left to play. New Zealand's last match was in Auckland against Fiji, who had just lost to Australia 10-0. New Zealand wasted no time in taking the lead, going up 3-0 in the first nine minutes with goals from striker Steve Wooddin (2'), midfielder and captain Steve Sumner (pictured) (8'), and midfielder Grant Turner (9'). By the break, additional goals from Sumner (45') and Turner (31'), plus strikes from Duncan Cole (36') and Brian Turner (40') put the hosts up 7-0. Sumner then ran rampant in the second half, scoring four more times (55', 60', 72', 86') to take his tally on the day to six, a national team record. The other two goals were added by Keith Mackay (48') and Brian Turner (85') to reach 13. The result secured qualification for New Zealand and sent them to Spain, where they unfortunately finished last in their first round group with losses to Brazil, Scotland, and the Soviet Union. 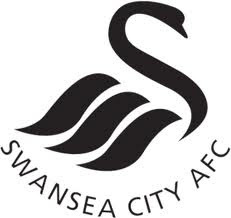 On 15 August 2011, Swansea City became the first non-English side to play in the Premier League when they visited Manchester City on the season's opening day. Despite being based in Wales, Swansea have played in the English league system since their founding in 1912. From 1981 to 1983, they played in the English top flight, following in the footsteps of fellow Welsh side Cardiff City, who spent three different spells in the First Division from 1921-29, 1952-57, and 1960-62. But no club from outside England had reached the top flight since the formation of the Premier League in 1992. That changed in 2011, as Swansea finished the 2010-11 Championship season in third place, then beat Nottingham Forest and Reading in the promotion play-offs. Their reward was an opening day date at title challengers Manchester City. Swansea held their own for the first half, playing an attractive passing game that allowed them to control possession and go into the break with a scoreless draw. But Manchester City exploded in the second half, getting goals from Edin Džeko (57'), Sergio Agüero (68', 90'+1), and David Silva (71') to finish the day as 4-0 winners. While Manchester City went on to win the league title that year, Swansea rallied and finished in an impressive 11th place, the highest of that season's newly-promoted teams. 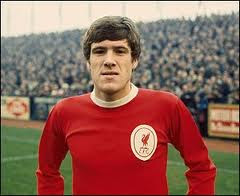 On 14 August 1971, 20-year old Kevin Keegan debuted for Liverpool, scoring in a 3-1 win over Nottingham Forest. He went on to score a total of 100 goals for them over six seasons, winning three league titles, an FA Cup, and the European Cup. Keegan started his professional career with Fourth Division Scunthorpe in 1968 and made 141 appearances there before moving to Liverpool in the summer of 1971 for a transfer fee of £35,000. Initially a midfielder, his scoring ability prompted manager Bill Shankly to move him to forward. He made 42 appearances for Liverpool across all competitions that first season, scoring a total of 11 goals as the Reds finished third in the league table. He doubled that tally the next season, winning his first league title and the UEFA Cup. Although that was his most prolific scoring season at Anfield, he won the FA Cup in 1974, then won a league and UEFA Cup double in 1976, followed by another league title and the European Cup in 1977. In the summer of 1977, after making 323 appearances, he moved to Hamburg for a fee of £500,000. On 13 August 1966, St. Mirren midfielder Archie Gemmill became the first substitute in Scotland. The use of substitutes in football dates back to the 1860s, but as the rules became codified, they became disfavored and disallowed. By the 1950s, however, people began reintroducing them, with FIFA allowing them in qualification matches for the 1954 World Cup. England and Scotland slowly began to reconsider the rule, with England adopting the use of a single substitute per team starting with the 1965-66 season, but even then only to replace an injured player. One year later, Scotland applied an identical rule. Gemmill, then just 19 years old and two years into his career with St. Mirren, was the first player in Scotland to come on as a substitute, replacing an injured Jim Clunie after 23 minutes in a Scottish League Cup match against Clyde. Unfortunately for Gemmill and St. Mirren, it was a milestone made in a losing effort, as they fell to Clyde 1-0. Gemmill went on to enjoy a lengthy career in Scotland and England (and a brief spell in the United States) that lasted until his retirement in 1984. He also earned 43 caps for Scotland, for whom he scored one of the World Cup's most memorable goals in a 1978 match against the Netherlands. Labels: Archie Gemmill, Clyde F.C., Jim Clunie, St. Mirren F.C. On 12 August 1964, Independiente won the first of their record seven Copa Libertadores titles, beating Nacional on points. It was the fifth edition of the tournament and the first appearance in the final for both teams. They each won their first-round group with identical records of three wins and a draw to advance to the semifinals. There, Independiente topped two-time defending champions Santos by winning both legs, while Nacional did the same to Colo-Colo. The final was played over two legs, home and away, with the champion determined by points. The teams met at the Estadio Centenario in Montevideo for the first leg on 6 August, where they split the points by playing to a scoreless draw, then reconvened six days later at the Estadio de Independiente for the second leg. The second leg was another close affair, with the teams separated only by a 35th-minute goal from Independiente's Mario Rodríguez, but it was enough for the hosts to claim the trophy. Independiente repeated as champion in 1965, then proceeded to win it again in 1972, 1973, 1974, 1975, and 1984. Nacional finally won it in 1971, then again in 1980 and 1988. 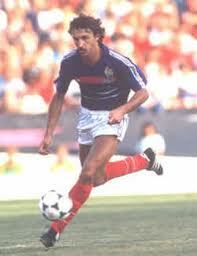 On 11 August 1984, France and Brazil reached the first Olympic final for both teams, with France winning 2-0. France had enjoyed more success in previous tournaments, claiming the silver medal in 1900 (albeit as one of only three participating teams). In 1908, France actually entered two teams, with one reaching the semifinals. An additional semifinal appearance followed in 1920, then they reached the quarterfinals in 1924, 1948, 1968, and 1976. Brazil, on the other hand, did not participate in the Olympics until 1952. Though they made it to the quarterfinals that year, they suffered first-round exits in the next four tournaments. In 1976, they reached the quarterfinals again, losing to the Soviet Union. Both teams missed the 1980 tournament in Moscow and showed up in 1984 eager to claim a medal. Brazil breezed through the group stage, winning all three of their games, then advanced to the final with victories over Canada (on penalties) and Italy (after extra time). France, meanwhile, topped their own group despite winning only one of the matches, then advanced over Egypt and Yugoslavia (on penalties). Playing before a crowd of 101,799 at the Rose Bowl in Pasadena, California, the teams finished the first half at 0-0, but that scoreline did not last much longer. In the 55th minute, Lens striker François Brisson put France up 1-0, then his fellow striker, Daniel Xuereb (pictured)--who also played for Lens--doubled the lead five minutes later. It was Xuereb's fifth goal of the tournament, tying him with two other players for top-scorer honors. It was the last appearance in the final for France, but Brazil returned in 1988, 2012, and 2016, winning the latter. On 10 August 2010, Neymar made his Brazil debut--and scored his first international goal--in a 2-0 win over the United States. The 18-year old striker had risen to prominence for Santos since signing with them in 2009 and had already made three appearances for Brazil's U-17 team. His performances there led to a loud public outcry for his inclusion in Brazil's squad for the 2010 World Cup, including strong support from Brazilina legend Pelé, but manager Dunga chose not select him, claiming he was still too inexperienced. Brazil replaced Dunga with Mano Menezes on 24 July 2010 and, two days later, the new coach included Neymar in his first squad, picked to face the United States in a friendly. The teams met in New Jersey, with Neymar starting for Brazil. He did not take long to make an impact. In just the 29th minute, he got onto the end of a cross from André Santos and headed it past US keeper Tim Howard. His teammate Pato doubled the lead right before the break and the day ended as a 2-0 victory for Brazil. Since then, Neymar has become a star for the national team, scoring 52 goals in 77 appearances and winning the Olympic gold medal in 2016. 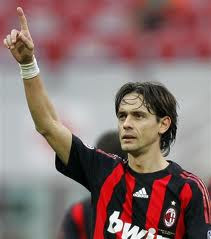 On 9 August 1973, Italian striker Filippo "Pippo" Inzaghi was born in Piacenza. He went on to become one of the country's most prolific scorers. He signed his first professional contract in 1991, joining his hometown club, Piacenza Calcio, but made only three appearances before moving to Leffe in 1992. A series of other moves followed, including stays at Verona, another turn at Piacenza, Parma, and Atalanta before he joined Juventus in 1997. In his first season with Juve, he scored a career-high 27 goals in 47 appearances across all competitions as the club won Serie A and reached the Champions League final. After four seasons in Turin, he moved to AC Milan, where he proceeded to win two more league titles (2004, 2011) and two Champions League trophies (2003, 2007). Meanwhile, he also won the World Cup with Italy in 2006. Known for playing on the edge of the offside line, his style of play once prompted Manchester United manager Alex Ferguson to say "That lad must have been born offside." He retired in 2012, having scored a career total 288 goals in 623 club appearances (with another 25 goals for the national team). Seventy of those goals came in UEFA club competitions, ranking him second overall in that category just behind Raúl González (77). On 8 August 2009, Norwich suffered their worst home defeat in club history, losing 1-7 to Colchester on opening day. Norwich had ended a four-year run in the Championship, England's second division, with relegation to the third-tier League One at the end of the 2008-09 season. Many observers tipped them for a quick return to the Championship, with their first hurdle coming at home against Colchester, who had themselves just dropped into League One in 2008. 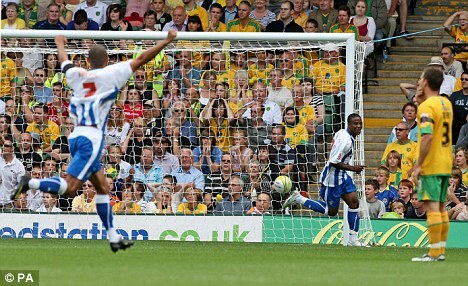 Playing before a crowd of 25,217, Norwich's plans quickly came undone as Colchester striker Kevin Lisbie scored in just the tenth minute, then his striking partner Clive Platt scored three minutes later. By the break, a stunned Norwich were down 0-5, with additional goals from Platt (19') and Lisbie (38') sandwiched around one from David Fox (22'). Norwich eventually managed to bag one of their own, with a 72nd-minute strike from Cody McDonald, but Colchester substitute David Perkins restored the margin four minutes later. Then Scott Vernon, who had come on for Lisbie, added insult to injury with a 90th-minute tap-in to end the day at 1-7. The loss cost manager Brian Gunn his job as the club sacked him six days later. To replace him, they hired Colchester manager Paul Lambert, who guided them to promotion at the end of the season, then to the Premier League in 2011. The 1-7 scoreline remains their worst home loss, but the worst overall defeat was a 10-2 drubbing at Swindon Town in 1908. 7 August 1999 - What's Black, White, And Red All Over? 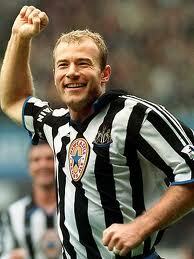 On 7 August 1999, Alan Shearer marked his 100th appearance for Newcastle by receiving the first red card of his career. The striker joined Newcastle, his hometown club, in 1996 after five seasons at Southampton and four at Blackburn Rovers (with whom he won the Premier League in 1995) and had made 99 appearances for the club prior to the start of the 1999-2000 season. He had acquired the nickname "Mary Poppins" for his squeaky-clean public image, due in large part to the fact that he had never been sent off. That changed in 1999. Newcastle were hosting Aston Villa in the season opener and the match remained scoreless deep into the second half. In the 70th minute, Shearer, who was already on a yellow card, battled Villa's Colin Calderwood for the ball, leaving the defender on the ground. Referee Uriah Rennie ruled that Shearer was guilty of "excessive use of the elbows" and showed the striker a second yellow, ejecting him from the match. Villa went on to win 0-1 with a 75th-minute goal from Julian Joachim. Just over two years later, Shearer received a second red in a match against Charlton, but it was later rescinded. On 6 August 2003, Manchester United lost to Sporting in a friendly that introduced them to the Portuguese side's dynamic young winger, Cristiano Ronaldo. United were in Lisbon to help Sporting inaugurate their new home, the Estádio José Alvalade. The Red Devils had just completed a four-game tour of the United States and seemed to be suffering from tired legs as the hosts romped to a 3-1 victory with goals from Luís Felipe (26') and João Pinto (62', 81'). Even United's consolation goal came courtesy of the Portuguese, as defender Hugo put the ball into his own net with two minutes remaining. The day wasn't a total waste for United, though. Afterward, several players spoke to manager Alex Ferguson, raving about the performance of Sporting's 18-year old midfielder, Ronaldo, and urging their boss to sign him. Although Ronaldo had already attracted the interest of Arsenal and Liverpool, United swooped in and signed him that summer for a fee of £12.24M. Ronaldo remained at Old Trafford for six seasons, making a total of 292 appearances in which he scored 118 goals. Along the way, he helped the club to three consecutive Premier League titles from 2007 to 2009 and won the Champions League in 2008. In the summer of 2009, Ronaldo moved to Real Madrid for the then world-record transfer fee of £80M, a profit of almost £68M for United. Labels: Alex Ferguson, Cristiano Ronaldo, Hugo Vieira, João Pinto, Luís Felipe, Manchester United F.C., Sporting C.P. On 5 August 2005, Bayern Munich hosted the first competitive match at the new Allianz Arena, beating Borussia Mönchengladbach 3-0. Built with a capacity of 66,000 (and later expanded to 69,000) the Arena replaced the Olympic Stadium as home to both Bayern and 1860 Munich, and also serves the German national team. 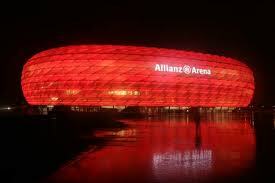 In recognition of its multiple tenants, it includes an exterior surface that changes color based on the team playing--red for Bayern, blue for 1860 Munich, and white for the national team. Construction began in 2002 and the stadium officially opened on 30 May 2005 with an exhibition between 1860 Munich and Nuremberg. Bayern and the German national team faced each other there in a friendly the following day. In that first competitive match, a Bundesliga contest, Bayern midfielder Owen Hargreaves scored the opening goal, curling a right-footed shot into the far top corner from just inside the box in the 28th minute. His teammate, striker Roy Makaay, doubled, then tripled, the lead with goals in the 86th and 89th minutes. It was the start of an excellent year for the hosts, who went on to win the double that season, taking both the league title and the German Cup. On 4 August 1952, the People's Republic of China played their first football match, losing 4-0 to hosts Finland. China has had a national team since 1924, when the original Chinese Football Association formed, and they played a handful of matches over the next twenty years, including a couple of Olympic appearances in 1936 and 1948. But following the Chinese revolution, the government of the Republic of China was forced to Taiwan, taking the original association along with them. 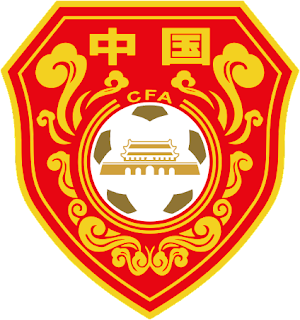 Their departure left a gap on the mainland, where the new People's Republic of China created their own Chinese Football Association in 1949. As one of the few countries to recognize the new government, Finland offered to host the new team and duly beat them 4-0. Since then, China have slowly improved, qualifying for the 2002 World Cup and twice finishing as runners-up in the Asian Cup (1984, 2004).